WHY CHOOSE US AS YOUR PEDIATRIC DENTIST? We are a Pediatric dental practice specializing in the treatment of children. We only treat children, and Pediatric Dentist Dr. Z has had several years of additional training to be more qualified to meet children’s unique dental needs. We are also specially equipped to treat special needs children. Read more about our specially designed dental experience for kids and parents. Comprehensive Pediatric Dentistry. Our warm, caring and attentive dental team provides a wide range of kid’s dental treatments to ensure that your child will develop and maintain beautiful, healthy teeth. With proper and consistent dental treatment, we can not only help to prevent cavities in the future, but also teach your child good habits that will last them a lifetime! We offer calming pediatric dental sedation options. We can administer an oral or nitrous oxide sedative to relax your kid before performing any restorative dental procedure. Safe and effective, Oral Sedation allows your kid to remain awake and aware, but their anxiety will be reduced for any dental procedure. Convenient to I-75 and I-85, our Pediatric Dental Practice is easily accessible from Buckhead, Midtown, Atlantic Station and Vinings. 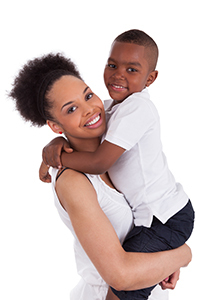 Our pediatric dental office can be easily accessed from either side of Atlanta. We offer appointments before work and school! Free parking in our pediatric dental open lot. We live and work in the Atlanta metro area too, so we know that parking garages can be inconvenient at times, especially when you have kids with you! Skip the parking garages, we offer free parking in our open lot. Our office is handicap accessible. Parents welcome to accompany their children through pediatric treatment. Parents can be as involved as they would like to be. Although Pediatric Dentist Dr. Z encourages self independence to help promote growth and development, we do have an open door policy for parents to come back. Our purpose is to gain your kid’s confidence and overcome any apprehension. Pediatric Dental Emergencies welcome. We make our best effort to see Pediatric Dental emergency patients in the same day. If your child is experiencing a dental emergency, please call our office at (404) 937-3888, and take a minute to read our Dental Emergency Information for Parents. One-doctor Pediatric Dental Practice. Tired of the big practices where it seems like you see a different doctor each time you visit? 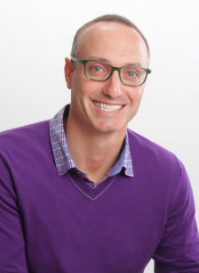 At our practice, all of our patients see Dr. Z, so that he can build a trusting and personalized relationship with his patients. Amenities for Children and Parents. We designed our brand new office with you and your child’s comfort in mind. We have games for the kids, and quiet, relaxing areas for the adults. 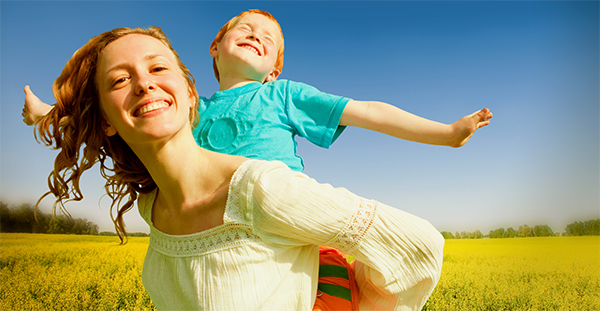 If your child is afraid or nervous about visiting the Dentist, ask us about our “happy visits”. This is where we introduce them to our office without dental work being done, so that they become more comfortable. Pediatric Dental Financial Options. Insurance is welcomed and accepted at our practice. We are in-network with several Dental PPO plans. We accept all major credit cards, including Visa, MasterCard, American Express, Discover, and offer Patient Financing through CareCredit. Dr. Z and his staff are excellent! Professional but acutely aware of a child’s point of view and cater to their emotional well-being as well as dental health. Our son had a traumatic fall and had to have some teeth pulled, and Dr. Z made the whole process as pain and stress-free as possible.He and his staff even followed up with us on our cell phones over the weekend to see how he was doing. If you have kids who need to go to the dentist, don’t go anywhere else!! A to Z was such a wonderful experience. I took my 7 yr old son a couple of months ago and he loved it. Not only the iPads mounted on the wall, or the great incentives that he got for being good, but he loved Dr. Z and the staff! He is honestly excited for his 6 month check up and can not wait to return. I will definitely continue to recommend them to all my family and freinds! Great experience! Dr. Z and staff are 100% child focused from the moment you walk in the door. Beautiful office! Dr.Z put a great deal of care into repairing my daughters two front teeth after a motoscooter accident. My daughter had a beautiful smile and now it’s even more beautiful. Dr. Z was the second cosmetic dentist we went to. The first dentist’s work kept falling apart. THIS PLACE IS AWESOME! Dr. Z is so cool with the kids. He really makes seeing the dentist fun. The atmosphere is very calm. The waiting room has awesome seating for kids, tablets to play games an TV with kid movies. The chair you lay in during cleaning has a TV on the ceiling & kids wear sunglasses. I HIGHLY RECOMMEND THIS DENTIST. FIVE STARS IS NOT ENOUGH!! I’ve had some bad experiences with Pediatric dentists so taking Alya to a new one had me expecting the worst but Dr. Hassan blew us out of the water. The attention he gave my daughter made a typically painful visit extremely enjoyable. I’m relieved we’ve finally found a dentist we can rely on. We will continue to bring our daughter and will recommend Dr. Hassan to our friends and family. Thank you Dr. Hassan and staff! Dr. Z was amazing. Our 2.5 year old boy was immediately drawn to the activities in the waiting room which was nicely decorated. My son loved interacting with Dr. Z whose demeanor was great. While I expected my son to cry some, Dr. Z was great about keeping the appointment as stress-free as possible. My son and I talked later that night about how much fun he had at the appointment. We will definitely bring our kids back for future cleanings. Please read the following disclaimer regarding the information contained on this website: This web site is designed to provide information and is for educational purposes only. No doctor to patient relationship is established by your use of this site. We are not providing any treatment or diagnosis on this web site. This web site is not intended to offer specific dental advice to anyone. Information provided on this site should be used in consultation with a dentist of your choice. We will do our best to provide you with information that will help you make your own health care decisions, however no guarantees or warranties are made regarding any of the information contained within this web site. Dr. Hassan is licensed to practice in the state of Georgia and this web site is not intended to solicit patients from other states. External links have been provided on this site as a service and convenience to our patients and other visitors to our website. These external sites are created and maintained by other public and private organizations, and we do not control or guarantee the accuracy, relevance or timeliness of any outside information. Copyright Notice: Information, images and names within this web site may be subject to copyright and trademark protection with all rights reserved. Duplication or use of any content without the expressed written permission by Dr. Hassan subjects the violator to both civil and criminal penalties.